Some believe people are deserving of a second chance. This doesn’t just go for ordinary folk such as ourselves, but even celebrities who go through rough times. The stakes may be higher when we live our lives in the public eye, but celebrities can turn their lives around for the better. No one is perfect, no matter the riches and glamour, they’re still human like us. A celebrity can find themselves in the midst of terrible circumstances and somehow overcome adversity. Oddly enough, some celebrity careers thrive even more than before. Here are 10 celebrities whose scandalous past turned into success. Once America’s sweetheart from the '90s, this legendary star has had her fair share of tribulations with the media. Most would be shocked to learn that the lovable actress from E.T: The Extra-Terrestrial had some troublesome teen years. Drew Barrymore experimented with toxins and her usage eventually landed her in a rehab center. Due to her tarnished “good-girl” image and rebellious front-page making tabloids, Barrymore had a hard time trying to find acting work. The actress started during an interview that through “pure ambition and anger” she was able to make a comeback into Hollywood. She continued pursuing her acting career but wasn’t able to make a real comeback until the 1998 film The Wedding Singer. Now she’s currently the star of the Netflix gory show The Santa Clarita Diet. Way to go Barrymore! This next star made history as the first African-American woman to win the Miss America crown in 1983. She paved the way for young women of color to succeed in their dreams. Like all young stars, however, Vanessa Williams fell under the pressures of instant stardom. A magazine company published less-than-flattering pictures of the Miss American pageant winner, which led to the removal of her crown. Though we’ve seen other pageant contestants do much worse than Williams over the years, her bad luck thankfully didn’t last long. Vanessa Williams launched a successful music career that won her 11 Grammy’s and several Billboard Hits. Now she’s a successful tv actress, having done her best work on The Librarians. Even in the most embarrassing circumstance’s, stars can rise against their adversity and still succeed. Some fans may be surprised to know that even the quirky Jennifer Lawrence was a victim of a public scandal that went viral. Literally, it was everywhere on the web. A hacker leaked a series of very revealing photos of the actress online. Rather than Lawrence going into hiding, she took control of the situation and voiced that it wasn’t the hackers right to reveal those pictures. Her response was feminist, reminding women that they have control over their bodies and not the other way around. Since the scandal, Jennifer has clearly moved on and acquired multitudes of success. She’s Mystique in the X-Men movie franchise now! That’s the biggest revenge any actor can give to a hater! Kobe Bryant was considered one of the best basketball players of all time, but in 2003 his career came to a brief halt. He was convicted of engaging in a relationship that wasn’t consensual with a hotel employee in Colorado. Bryant made a public apology that was so convincing even the public bought the act. Considering the Bill Cosby case, it’s disturbing how some of the worst celebrity scandals can be forgiven. Nonetheless, Bryant still achieved success. In 2015, the Laker’s player was considered “one of the greatest players in the history of our game” by the NBA commissioner Adam Silver. Kobe Bryant won several gold Olympic medals and helped the Lakers win five championships. How some stars get a pass in life, we’ll never know. At the start of Chris Brown’s career, he was hailed as the next Michael Jackson. He had the looks, the moves and of course, the girls loved him. Though in 2009, his career took a turn for the worse when reports surfaced of the star engaging in domestic violence with then-girlfriend Rihanna. Since then Brown has been in and out of public scandals, his latest having been with a French woman who claims to have been a victim of the singer and his friends. Though the star will never able to escape the courtroom, he has continued to produce great music. Some of us may not be a fan of Brown's behavior, but we hope he gets the help he needs someday. As we’ve learned, even celebrities have hard teen years. Though being a regular rebellious teen has its own set of consequences, it doesn’t compare to the hardships famous people face. Plenty of stars have tarnished their “clean” image simply with stupid antics. Hollywood can be a very unforgiving business unless one is able to put in the hard work and hours needed to overshadow their many mishaps. 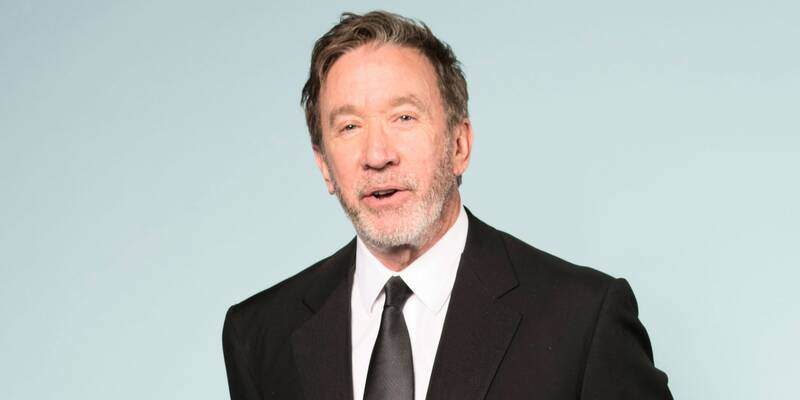 Comedy man Tim Allen, surprisingly, was one of those celebrities who made a lot of mistakes in his teen years. One of those bad decisions almost stopped his career from happening. In 1978, the actor had a very public and humiliating run-in with the law for traveling with 'harmful substances' (very white and powdery ones). Luckily, after the incident Allen got his life together. As we can see, his comeback has lead to great comedy sitcom’s such as Last Man Standing and the timeless Home Improvement. No one’s ever too old to turn their life around! After overcoming one newsworthy scandal, we’d think Tiger Woods would’ve learned his lesson by now. Some celebrities just need multiple life lessons, it seems. Not only did Tiger Woods find his way out of a cheating scandal but he also had a brush with the police in 2017 that made news headlines. Somehow this celebrity knows a thing or two about eliminating bad press, and making fans refocus their attention back to his many achievements. The guy can weasel his way out of a bad situation and still be a legend in the world of sports. Woods is unbeatable, both in the press and on the field. It’s hard to believe that big-time artists like Kesha went through a rough patch in their career. However, the famous pop star did indeed endure a scandal, and one that went on for years. Reports surfaced that the star had issues with her record producer Dr. Luke and finally got the authorities involved. Unfortunately, Kesha was stuck in a five-year contract with her record label and wasn’t allowed to release any music. Her 2017 Rainbow album was not only a long-awaited success but a liberating response to the hardships the artist faced with her record producer. The album was probably her most successful to date, as its honesty and raw emotion pulled at fans' heartstrings. Though the legal battle may not be over, Kesha made an epic comeback that we’d never thought possible. We hope she wins this case against her producer! Like Drew Barrymore, this star was deemed “America’s Sweetheart” for years, until the star had a run-in with the cops. Her super-sweet image suddenly diminished within seconds. We can imagine how much of a shock it must’ve been for fans to learn that Reese Witherspoon isn't perfect . . . like most people. Back in 2013 the actress was charged with disorderly conduct after her husband was caught drinking behind the wheel. After watching the video, we’re not convinced her attitude was all that shocking compared to how fans and critics have described it. Not really scandal worthy but then again, the internet has a habit of turning the smallest celebrity gossip into a virtual sensation. America could’ve given Witherspoon a break. As we’ve seen with previous stars, our younger years can be a difficult and often confusing time. All around good guy Will Smith isn’t exempt from that, unfortunately. While most people think of him as a likable funny guy, he did run into issues with the law. In 1989, the actor was in the middle of his early rapping career and had a rather heated argument with a record promoter at the time. The dispute eventually led to an assault on the promoter, which was carried out by Smith’s bodyguard on command. Smith spent the night in a West Philadelphia jail with inmates requesting autographs all through the night. If we were Will Smith, we’d want to bury that scandal in the deepest ocean we can find, too!